Stay at the coolest hotels in Greenville SC and in Travelers Rest SC! 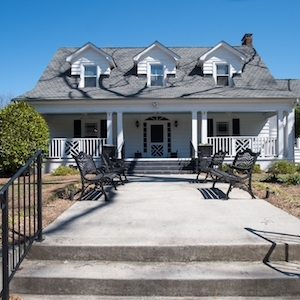 The original Swamp Rabbit Inn is a 6 bedroom modern Bed and Breakfast in downtown Greenville SC and our second location in Travelers Rest, SC near Furman University! The first Swamp Rabbit Inn location opened at 1 Logan Street in downtown Greenville in 2014 and we welcome visitors to live like a local in a home away from home, un-hotel setting. Two blocks from Main Street and two blocks from the Swamp Rabbit Trail you can park your car in our lot and walk and bike to everything Greenville has to offer. Furnished entirely in IKEA this is not your grandmother’s B&B. With a fresh, funky vibe you will love our modern inn for your business travel, getaways, adventures and gatherings! We offer individual room rentals and whole house rentals. There are six guest rooms all with private baths. We now have a second location at 426 S. Main Street in Travelers Rest just 10 miles up the trail and near Furman University. There are 8 rooms and a vintage camper for rent at our Travelers Rest (TR) location. We also have six additional vacation rentals along the trail. My name is Wendy Lynam and I love running this inn and meeting visitors to Greenville, SC. I moved from Chicago to Greenville in 2005 and love this cosmopolitan Southern city and all it has to offer. Cycling is a passion of mine and this is the place to do it on all levels. I wrote “Cycling Greenville” a guidebook with 20 great rides in the Upstate for all levels of cyclists. I am a real estate investor and love to bring old properties back to life. Through my investing I have become a licensed real estate agent at LIV Greenville and would be happy to talk with you and work with you if are you are thinking about moving to Greenville, SC. Let’s connect on Instagram @swamprabbitinnsc and Twitter @swamprabbitinn and subscribe to our blog to keep up with our news and events! This is not your grandmother’s B&B. Furnished entirely in IKEA this modern bed and breakfast will be sure to delight you. We serve a continental breakfast and stock the fridge with all the fixings for a more elaborate, self-serve breakfast. Cook your own meals in our sleek, modern community kitchen and mingle in our dining room and funky gathering room on the main level. 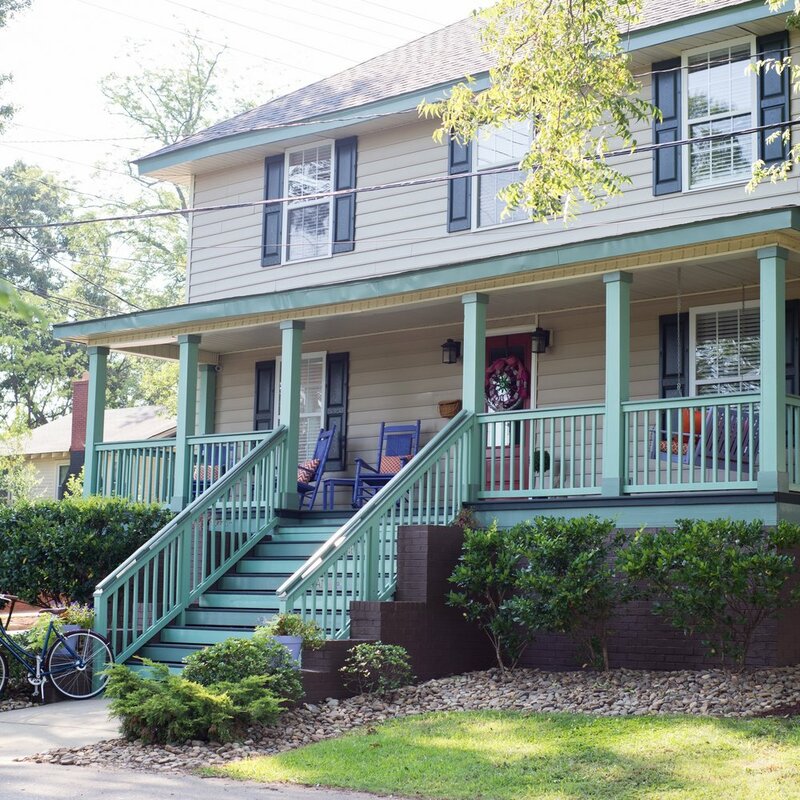 This is family friendly, modern bed and breakfast and you can walk or bike to everything downtown Greenville SC or Travelers Rest SC has to offer. We are set up perfectly for bike touring groups and training camps as well as large gatherings of families, friends or co-workers at the Swamp Rabbit Inn and the Swamp Rabbit Lodge. Main Street is two blocks to the east and the Swamp Rabbit Trail is two blocks to the west. Rent either of the Inn's as a whole house or just a room. We are also have several properties along the trail for vacation rentals, if you are interested in a vacation rental, click here.